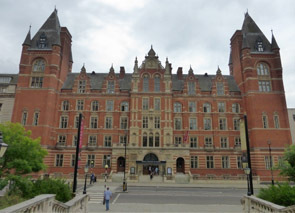 Guardian University League Table leader, Royal College of Music, have been a client of Amadeus for over 15 years in various capacities. Be it Musician Posture Seating or Instrument Storage we are pleased to have maintained a strong relationship. In 2014 this relationship was further solidified by the inventive thinking of Matt Nicholl, Head of Estates at RCM. Their long term plan of providing the students with the very best rehearsal facilities for the soon to be refurbished Ziff suite required some temporary support. The idea; to use the courtyard space tucked in to the very centre of the building and flanked on all sides to construct a temporary building that would hold 8no BOXY B level rooms for 12 months. The wisdom for the entire scheme being that the rooms are completely modular therefore their 2014 investment will be completely dismantled in 2015 and reused in the Ziff suite. 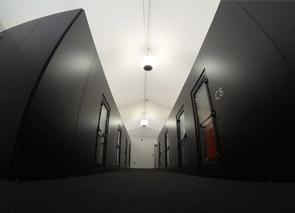 Furthermore there will be 3no additional rooms that meaning the complete package of 11 rooms are dismantled and reinstalled in only 3 weeks, causing minimum disruption to surroundings. 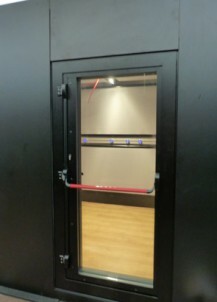 The BOXY rooms have no mechanical connection to the existing structure which allows them to be placed anywhere inside an existing space. This allowed the rooms to be temporarily placed inside a rented marquee for 2014 while the adaptations happen in their prospective location. It means the students not only can continue with round the clock rehearsal, due to the superb sound reduction qualities of the rooms, but also get a feel for the rooms and make aesthetic recommendations i.e. panel colours, floor finish etc, before they reach their final destination. The Internal Correction Panels allow the user to make numerous acoustic changes thus personalizing the ‘sound of the room’ to their personal taste. 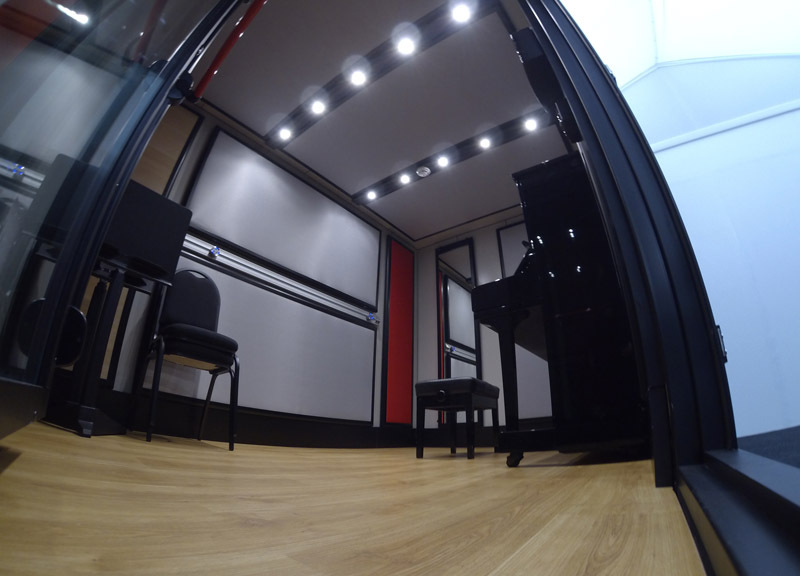 A unique benefit with the Boxy rooms enabling use’s to range from Percussion, String and Operatic to mention just a few. The students are thrilled with their new facility and that their opinions are being considered for the future development of The RCM. This canny acquisition by Matt Nicholl means that not only are the students delighted, but the Directorate more so, knowing they have secured the ideal product for their continued position as a world leading conservatoire. 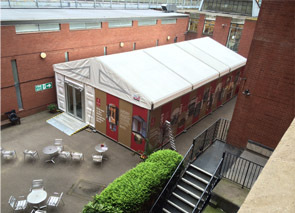 Many thanks to The Royal College of Music for featuring in our Case Study. 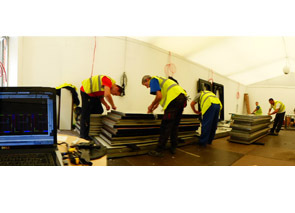 While planning our refurbishment project, RCM Estates team looked at many practice room solutions from traditional build to modular. 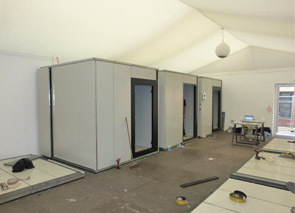 It soon became apparent Modular would allow the College to use an existing space providing eight modular units, a year before they were required for the refurbishment. This would allow students and staff to comment and use the extra facilities and estates teams to fine tune them for their permanent location. We looked at many companies but the Amadeus boxy rooms stood out from other products on style, acoustic and sound separation. Working with the Amadeus design team to meet RCM requirements was a pleasure, the team were dedicated to providing RCM with exceptional bespoke practice rooms. Student and staff feedback has surpassed our expectations and the rooms are front runner on our booking system with 95% occupancy. I would recommend contacting Amadeus if you are considering music room solutions that will deliver to the highest expectations.